In these troubled political times, people are looking for a senator they can trust. 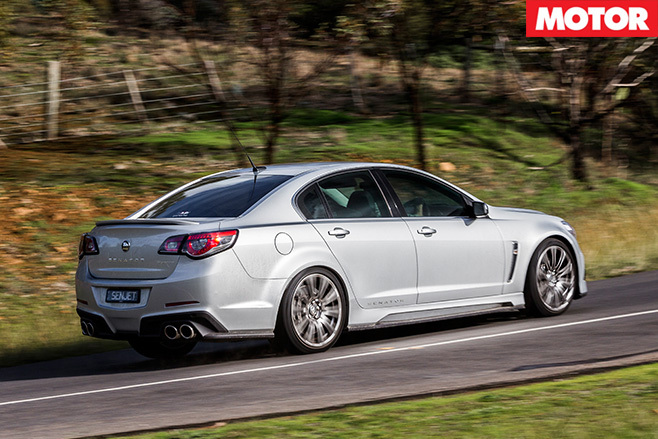 Here's one, HSV’s Gen-F2 Senator Signature, now packing 400kW/671Nm of 6.2-litre supercharged LSA V8. Were it to run for office, there’d be no doubting its allegiance: it would undoubtedly be number one on the Motoring Enthusiast Party’s ticket. Despite this, in true political fashion we’re a little unclear about what the Senator stands for. At $92,990, it sits less than arm’s length from HSV’s GTS flagship in price, yet its mechanical make-up seems more aligned with the $10K cheaper HSV Clubsport. Around 150 find homes every year, so it appeals to a small but dedicated segment of the community. 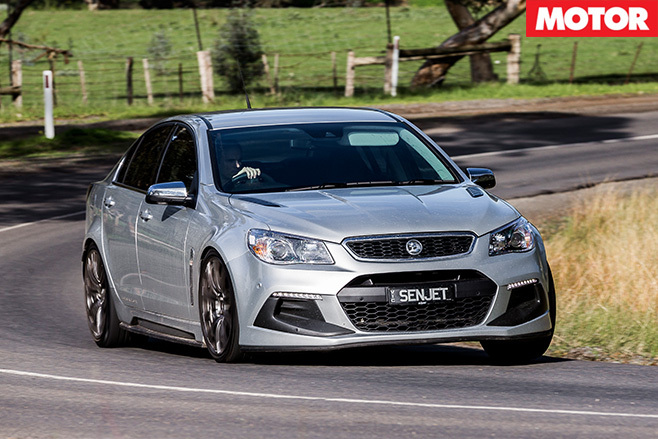 Spotting a Gen-F2 Senator is a reasonably simple task thanks to the deeply scalloped side skirts, bonnet vents and black lip that extends right around the bottom of the body – all part of the cosmetic upgrade that spread across HSV’s range in late 2015. It’s a more restrained effort than some stablemates however. The standard 20-spoke alloys are classier than the Clubsport’s more aggressive 10-spokers, the brake calipers are an understated silver rather than look-at-me red, and while HSV offers a full colour palette, including Sting Red, Jungle Green and Slipstream Blue, you’re more likely to see a Senator in a more subtle shade such as silver Nitrate, the grey of Prussian Steel or the deep green of Regal Peacock. Inside, it’s more or less identical to the Clubsport, bar a couple of minor trim differences and the addition of heated seats, which are extremely welcome during a Melbourne winter. 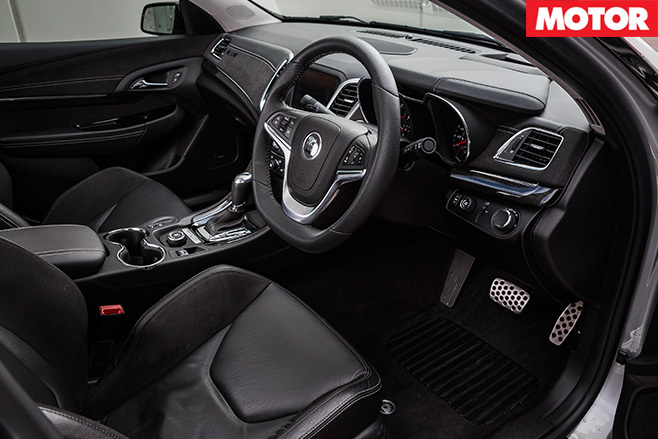 The seats are big and comfy, the driving position is excellent and there’s plenty of equipment, but the Commodore-origins of the Senator’s interior inevitably become more of a problem as the price rises. The other side of that coin is that $90-odd grand still isn’t a lot of money for this level of performance. In fact, it’s cheap – anything European at this price point is giving away the best part of 150kW/200Nm and would be nothing but a speck in the Senator’s rear-view mirror given its 4.5sec 0-100km/h and 12.6sec quarter mile potential. The Senator has any cornering concerns covered. Like all HSVs it’s too big to truly shrink around you – it feels like it takes up the entire lane on most country roads – but the balance and composure of the chassis allow it to be driven hard with complete confidence. Step slightly over the limit and understeer and oversteer both build progressively, with the sensational ESP system ready to mop up any excesses. The brakes are equally brilliant and only the slightly slow steering response off-centre raises its head as an issue. 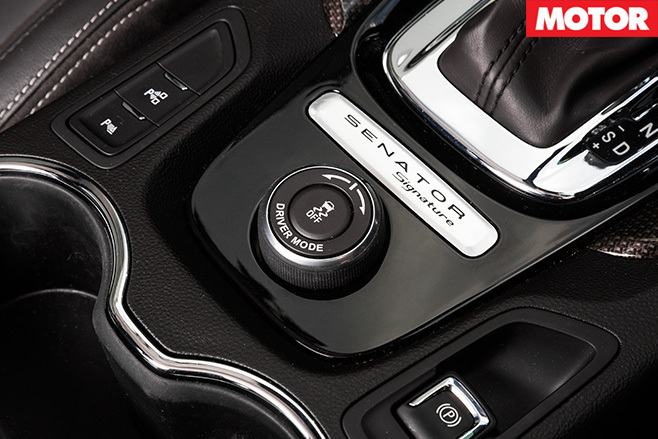 Of course, this cornering capability is true of the cheaper Clubsport, but the Senator’s ace up its sleeve is its magnetorheological dampers, dubbed Magnetic Ride Control (MRC), taken from the GTS. The one bugbear with the Clubsport is its stiff-legged urban ride, whereas one anti-clockwise turn of the Driver Preference Dial in the Senator softens the dampers enough to absorb most bumps and road imperfections. Despite HSV claiming the settings are identical, however, it doesn’t feel quite as soft in Tour mode as the last GTS we drove. Outwardly conservative and sensible but with a mischievous, fun-loving heart, the Senator LSA is like Barack Obama with wheels. But it’s a hard car to recommend. It's a great drive, brutally fast, looks good and the MRC dampers are an advantage, but the price gap to the GTS is just too small. For an extra $3000 (or $5500 for auto) you get range-topping kudos, the full 430kW/740Nm and monster six-piston AP Racing brakes. 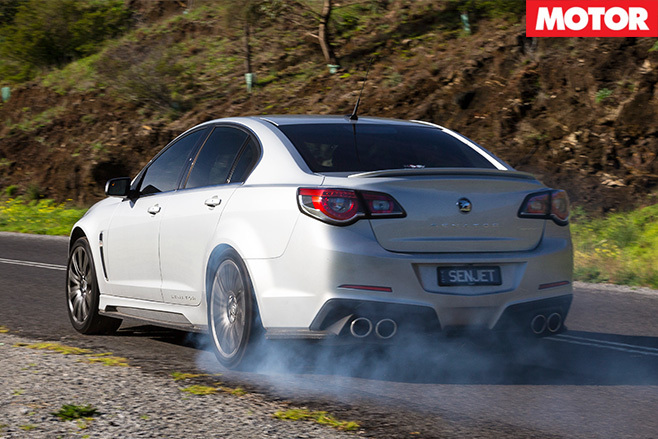 For these reasons, the GTS gets our vote.